Castle Rock - doesn't get any better than this!!! REGISTRATION UPDATE - Registration is open for all swimmers. Please click on Events (the actual word, not the drop down), then click on register online. Click on one of the two links to the Town to pay fees, then go back to the Cruisers website, scroll to the green continue button, scroll to the green activate new account button. If you were on the team in the past, once you enter your email and birthdate, it will link you to your account. If you do not receive a Welcome Email within two days, please email Beth at crcruisers@yahoo.com. WEATHER UPDATE - Please check here before you head to practice to get any updates regarding weather or issues related to pool closure or practice postponements. PRACTICE UPDATE: Swimmers must be signed up in order to attend practice. The first week will be by the training group they were assigned to in 2018 or new to team. 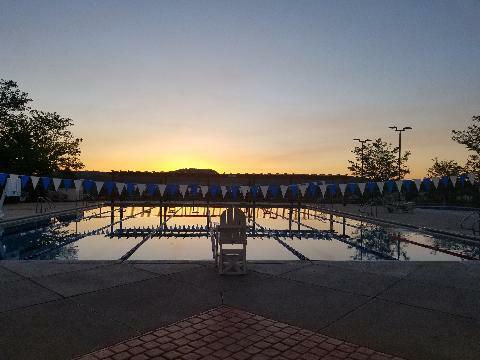 After that, they need to sign up for the group the coaches assign them to for the 2019 season and EACH swimmer must have a spot for the time they want to practice. VOLUNTEER SIGN UP: If you have a swimmer in a meet, at least one parent must volunteer for a position during the meet. Use the job signup button under the meet to find the spot you would like to help with. Butterfield's phone number is 720-724-2081.